Whew! I managed to not walk into her. She seemed huge but was probably only 10cm (4inches) from north to south. 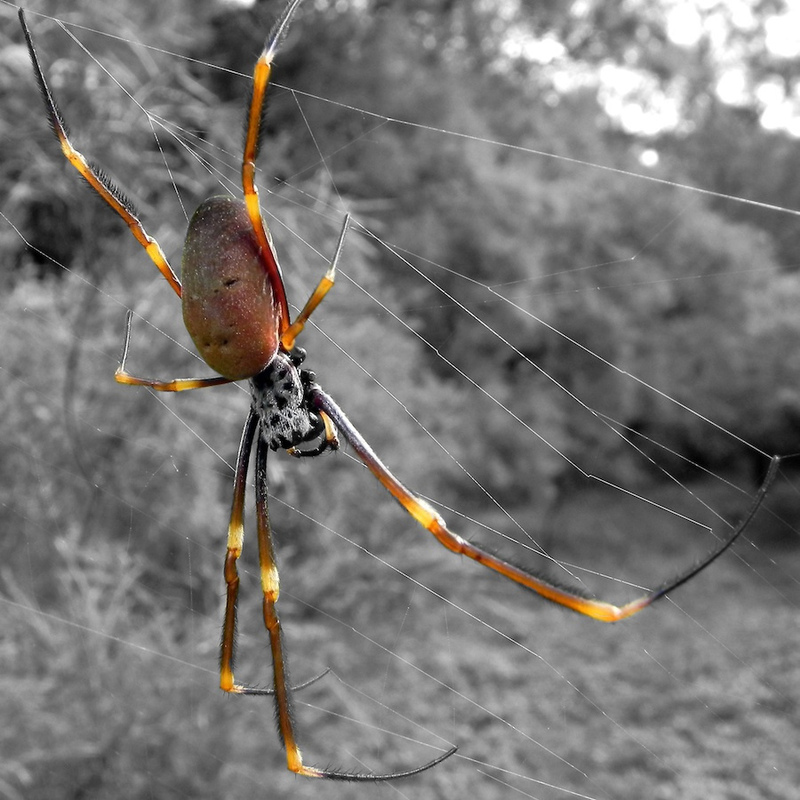 I’d hazard a guess that this is a female Golden Orb-Weaver. We have one strung right across our road, the 4WD just fits under it! What a lovely shot. I particularly like the angle and the “glow” at the joints in her legs.